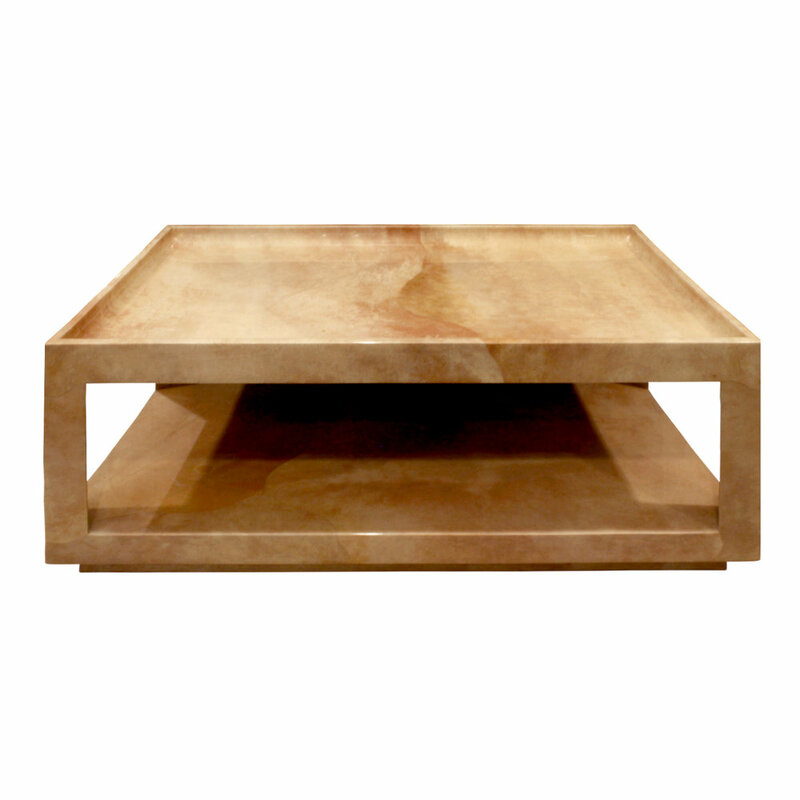 Beautifully made "Triangular Leg Coffee Table" in lacquered goatskin designed by Karl Springer 1980s. Original Label on bottom reads "Karl Springer". This table is meticulously crafted.